Sculpted Contours Luxury Medical Aesthetics is Proud of Our Results Driven Expert Team. Our Top Priority is Helping You Obtain the Results You Desire. Every clinical staff member performing procedures is a medical professional with many years of medical experience. Your safety is our #1 priority! It's not about the procedure. It's about the results. Isn't that what you really want? 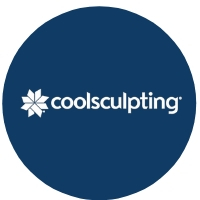 Since the day we opened, we have helped hundreds of clients sculpt their bodies and reduce stubborn fat. Do you have areas that bother you like your muffin top? Do you work out but still can’t seem to get rid of that stubborn belly fat? Are you too busy to work out? Do you dread wearing shorts and tank tops? You are not alone. Let our experts help you determine the best protocol to help you get the results you desire! One of our biggest request from our clients is to help with skin laxity issues. Do you have crepey skin on your knees? Do you see lines forming in your decollete’? Is your neck showing your real age? Skin Tightening is something we all want as we age. We have the leading energy based procedures coupled with our expert team to help you achieve the results you deserve. Are you starting to see noticeable signs of aging due to sun damage? Do you have dark spots that can’t be covered with make-up? Are you beginning to see larger pores and dull skin? It’s not too late to start correcting the visible signs of damage and aging. Our expert staff have helped hundreds of clients using the best non-invasive energy based procedures turning back the hands of time. The time is now to let us help you too. If you are woman you struggle with Cellulite. The minute it shows up is the minute you want it gone. 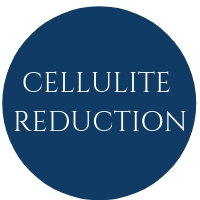 Cellulite can show up anywhere on the body; legs, abdomen, arms, derriere and even the calves. It’s not your fault. Our experts have helped our clients smooth these problem areas as well as tighten the skin. Don’t wait any longer! Say goodbye Cellulite! What are we all about? You and your results! We opened our doors to offer a Luxury Experience with access to Experts who can help you obtain your desired Results. Trust is a key component of the decision making process when deciding where to have your body sculpting or facial rejuvenation procedures. Our staff are all medical professionals with years of experience and expert level trained in all the procedures we perform. We use and develop advanced protocols for treatments that maximize the effects of the procedures we perform. Ongoing training keeps everyone focused on being the best. Our high volume of treatments we perform ensure we use our experience to get the very best results for each person. Let us show you what our experience can do for you. Undeniable Results are what you want from an aesthetic procedure. WE DELIVER! We have selected the leading non-invasive technologies that are safe, FDA cleared and with proven results. Your safety and results are the most important thing to us. 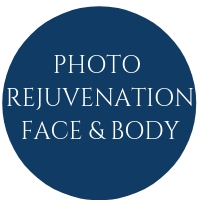 The results you want to see in the mirror are the beginning of our treatment plan. We can’t always achieve everyone’s goals, but we’ll make sure you know what you can do to that will work for you. We are here to make sure you are happy with the results you get. We are here to celebrate with you and nothing makes us happier than seeing the smile on your face from the results of your procedure. Sculpted Contours Luxury Medical Aesthetics provides only the best for our clients. We focus on every detail to make sure your time with us is more than you dreamed it could be. Our center has everything from luxury appointed, large private treatment suites to custom spa meals we serve during your treatment day. No detail is too small when it comes to luxury. A calm, serene luxury spa environment where top level medical aesthetic procedures slim, firm and sculpt your body and face. Come see what a luxury focused center can offer you. You’ll never know what you are missing until you experience the best. 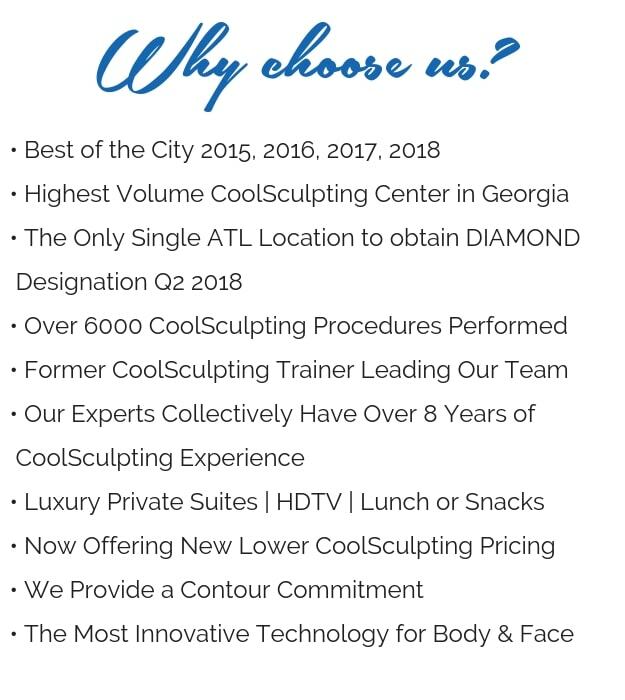 Sculpted Contours Luxury Medical Aesthetics opened in 2014 to fill an unmet need in Atlanta, GA for a luxury medical aesthetics center performing body sculpting and facial rejuvenation procedures. Our mission is to continue to meet and exceed our discerning clients expectations. This video shares more about the services we offer and how we have achieved Best of the City Awards every year since we opened. Sculpted Contours Luxury Medical Aesthetics is concerned with one thing; your results!